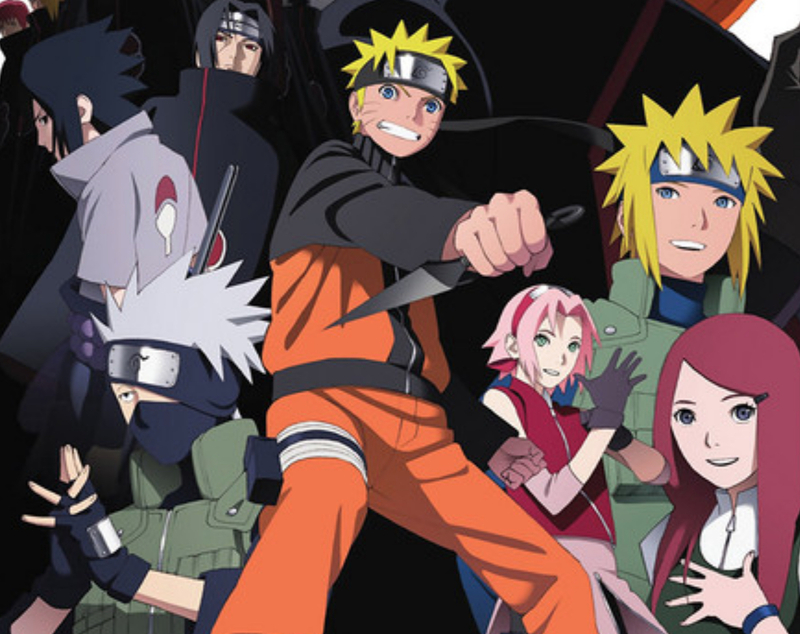 Naruto might have been the title character of his franchise, but there are dozens of others who played a huge role in his story. When Naruto wasn’t learning how to control the fox inside of him or trying to save Sasuke, he was busy learning from his team leader Kakashi Hatake. Introduced fairly early in both the manga and anime series, Kakashi was a highly skilled shinobi selected to lead Team 7. 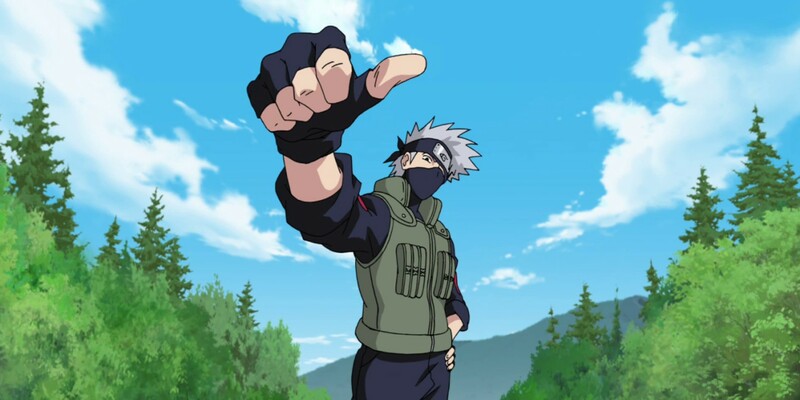 With a history of failing his ninja teams during tests, Kakashi was one tough teacher. He prized teamwork above all else. 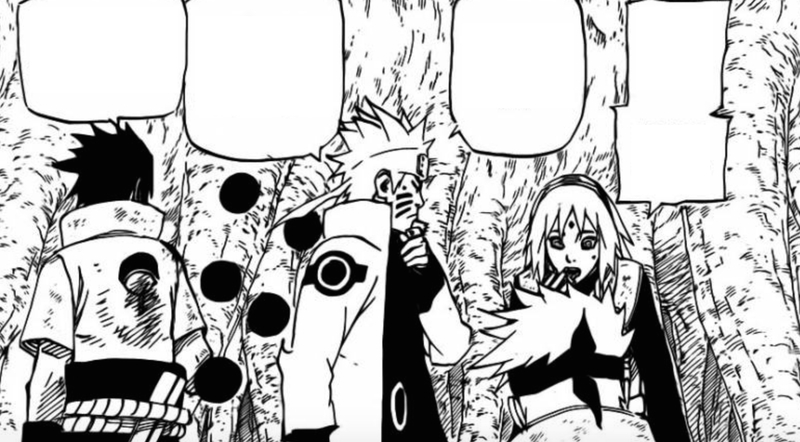 It only took one test for Kakashi to realize that Team 7 was a trio worth teaching. He personally mentored Sasuke, and made sure that Sakura and Naruto got the teachers they needed in Tsunade and Jiraiya. Never holding back from his team, he put them through their ninja paces and made sure they became some of the strongest shinobi in the world. Despite his tough teaching style, Kakashi was a fairly laid back guy. Fans know him for his love of reading a particular set of novels, his impressive ninja-copy skills, a mask that covered most of his face, and a great head of hair. With his ability to copy nearly any jutsu he saw in action, Kakashi certainly put his own body through its paces as well. We’ve taken a long look at everything the character went through to assemble the 30 Crazy Details About Kakashi’s Body. From his perfect hair to just where you might have heard his voice before, we’ve got it all. Pop culture fans often think of alternate realities and dimensions as something specific to Marvel and DC comic book pages. Naruto has its own alternate dimensions. Kakashi is one of the few who can even access another dimension. 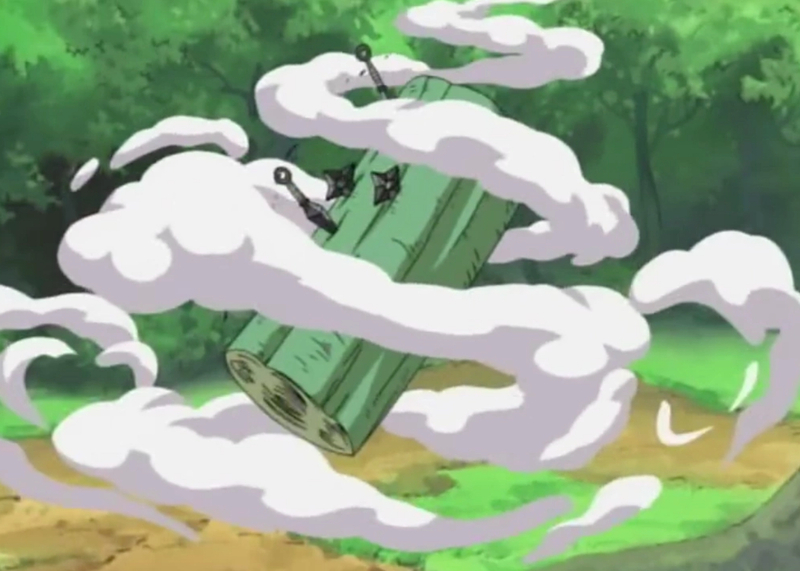 Specifically, Kakashi can use Kamui to send things to another place. The Kamui is one of the abilities of the Mangekyo Sharingan. 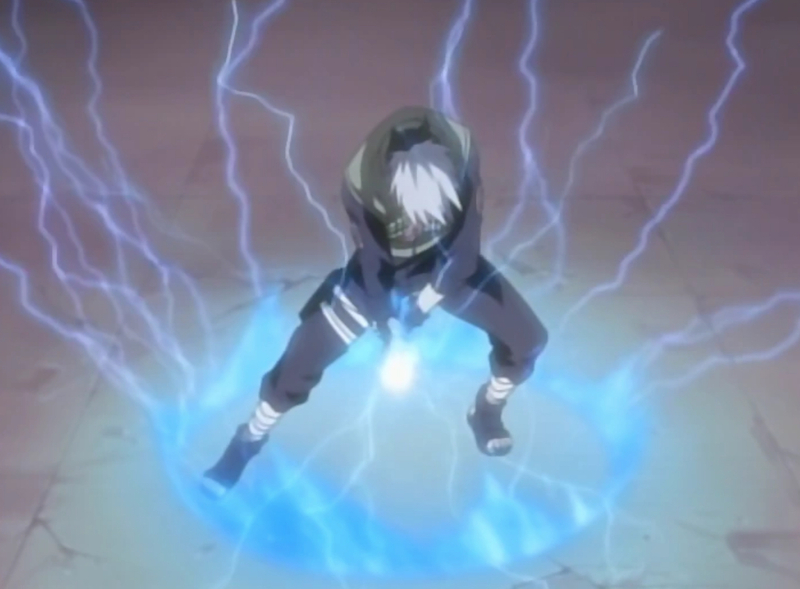 Using this specialized form, Kakashi can send weapons or enemies to this other dimension. He can also open it up to retrieve them, but they can’t escape it on their own. If you think Kakashi is impressive as an adult in the Naruto world, think about how his classmates felt at the Ninja Academy. He was a natural at mastering all manner of ninjutsu as a child. He adapted to his training so quickly that he graduated from the Academy at only five years old. To put that in perspective, most of Naruto’s friends graduated around 11 or 12 years old. To make him even more impressive, Kakashi only spent a year at that genin level. By age six, he beat Might Guy at the chunin exams. By 12 years old, he was a jonin. He even joined the secret Anbu organization while still a child. In the universe created for Naruto, the shinobi each favor a specific type of “nature release.” A nature release is the way the ninja can channel their chakra. Though others exist, there are five basic nature types: Fire, Water, Earth, Wind, and Lightning. Kakashi favors Lightning Release. 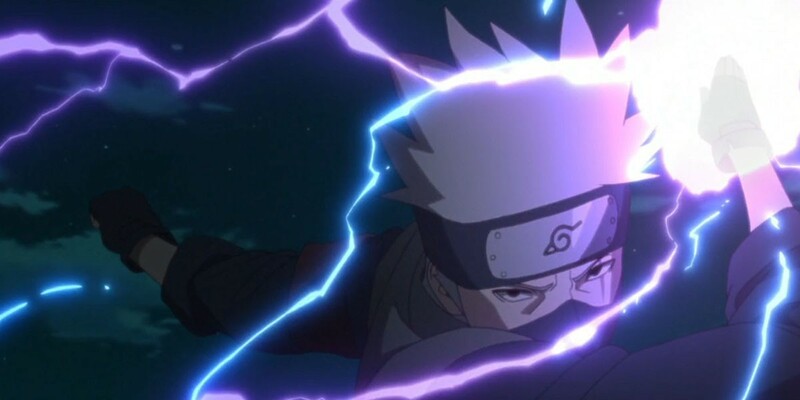 With a natural inclination for Lightning Release, Kakashi was actually able to channel his chakra into lightning before even attending the Ninja Academy. He could even infuse his weapons with lightning. Though he may favor Lightning Release, Kakashi actually mastered all of the basic nature types. 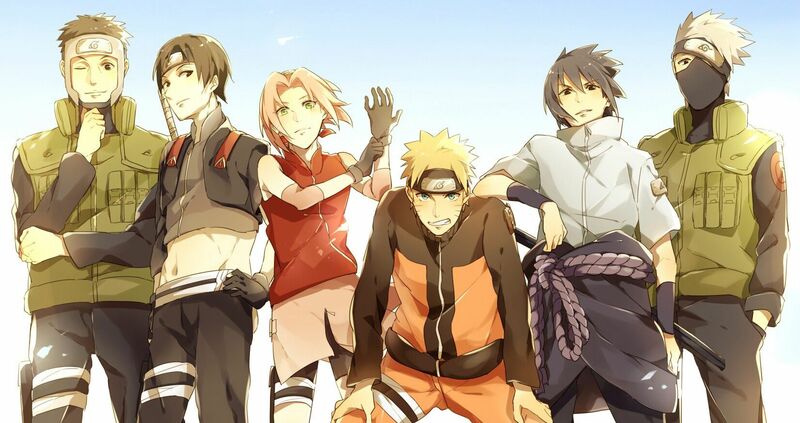 Most shinobi who become Kages master those and more. This ability to copy jutsu is primarily relegated to members of the Uchiha clan thanks to their Sharingan. 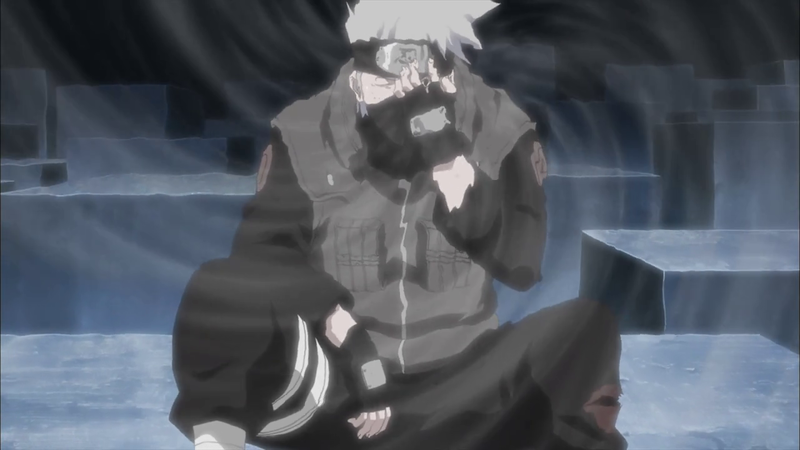 Since Kakashi has his own for most of the series, he is also able to copy jutsu. He doesn’t necessarily need the Sharingan to do it, though. Orochimaru is able to observe hand signs that move faster than average, and copy what they create. Likewise, Kakashi can as well. Rumor has it that Kakashi has actually copied thousands of jutsu. Between the manga and the anime, fans only see him use about 40 because he favors certain ones. The average shinobi puts their body through a lot during training and missions. Kakashi is far above average. As a result, he’s been through more than most. Luckily, he knows how to fight smart. Kakashi is one of the most observant of fighters. Much like Shikamaru, often recognized as the franchise genius, Kakashi can recognize patterns and predict enemy’s movements quickly. Because of that, he can conserve chakra by using a basic jutsu: substitution. This particular move allows the shinobi to switch their body out with an object nearby. With so many fights in the woods, that means Kakashi spends a lot of time switching his body out with logs to avoid a blow. Naruto isn’t a franchise that spends a lot of time on hair. Unless, of course, you count Sakura and Ino’s chunin exam battle. Despite hair not being a particularly big focus, fans certainly noticed Kakashi’s. Plenty of fans find his perfectly styled hair a bit odd for a ninja, but they love him for it. They love him so much that he almost won an award for it. Nickelodeon Magazine hosted its comic awards for the first time in 2009. Fans could select their favorites from nominations, much like they do for the Kids Choice Awards now. Kakashi was a finalist, but lost out for Best Hair in Comics to Calvin of Calvin & Hobbes fame. 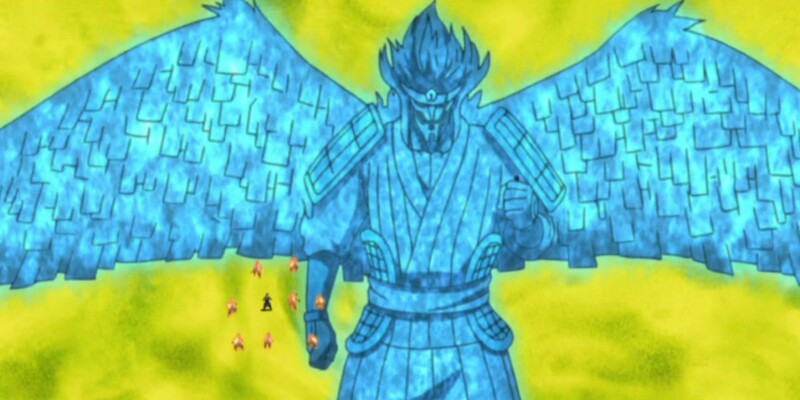 Some of the best trackers in the Naruto franchise don’t have specialized sight like the Hyuga clan’s Byakugan. Instead, they have a superior sense of smell. Usually, this skill is present in members of the Inuzuka clan. 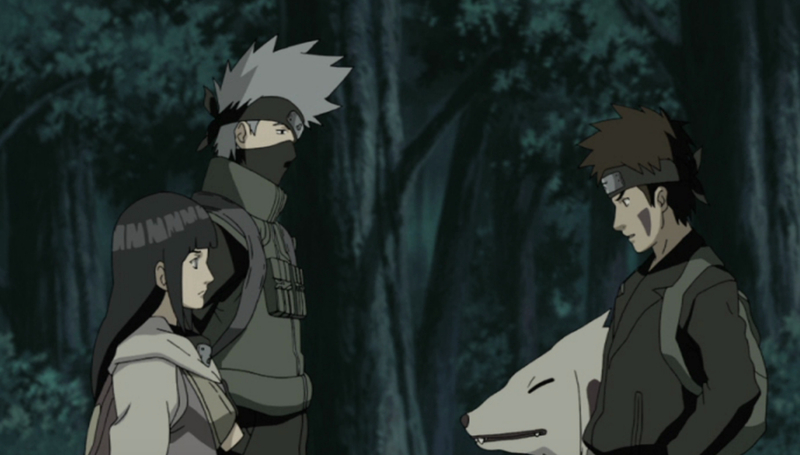 The Inuzuka family is known for their animal instinct and raising ninja dogs. Excellent sight, smell, and reflexes abound in the clan. 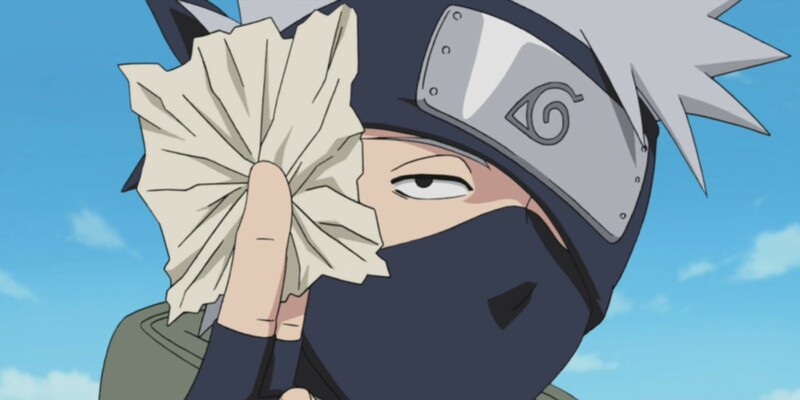 According to Naruto himself though, Kakashi’s sense of smell is even better! This, along with Kakashi’s own pack of ninja dogs, has led many to believe that he’s related to the Inuzukas though his mysterious mother. 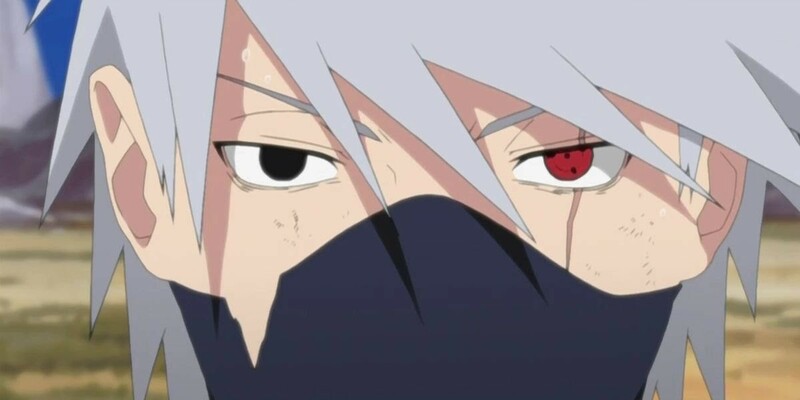 Through most of the original series, Kakashi has the Sharingan, a trait found amongst the Uchiha bloodline. Fans found out that you don’t have to be family to get the Sharingan. Instead, an Uchiha just has to give you theirs. That’s exactly what happened to Kakashi on an ill-fated mission. His teammate Obito Uchiha was pinned beneath a large boulder. Believing himself to be at his end, he offered one of his eyes to Kakashi. Their teammate Rin removed Obito’s eye and gave it to Kakashi to honor his last wish. 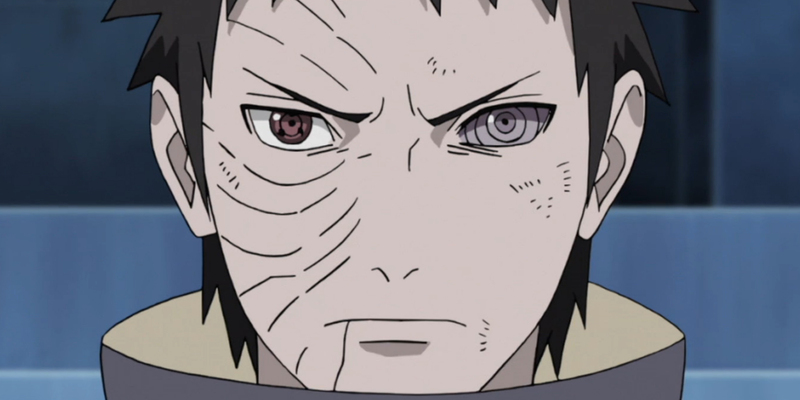 That same ill-fated mission that led Obito to give Kakashi the Sharingan also earned the shinobi his scar. Kakashi is known for a long scar that travels through his eye and down the side of his face. That particular scar was the result of Kakashi taking a blow meant for Obito. The blow didn’t just leave a permanent mark; it also left him blind in that same eye. Taking the hit is part of what prompted Obito to push Kakashi out of the way of a falling boulder and end up pinned. The scar and the Sharingan served as a reminder for Kakashi for most of his life. When Kakashi was training as a young shinobi, he wanted to use his natural affinity for Lightning Release with the very powerful Rasengan. Unfortunately, he couldn’t get the two to work together. Instead, he created his own version of it in the Chidori. 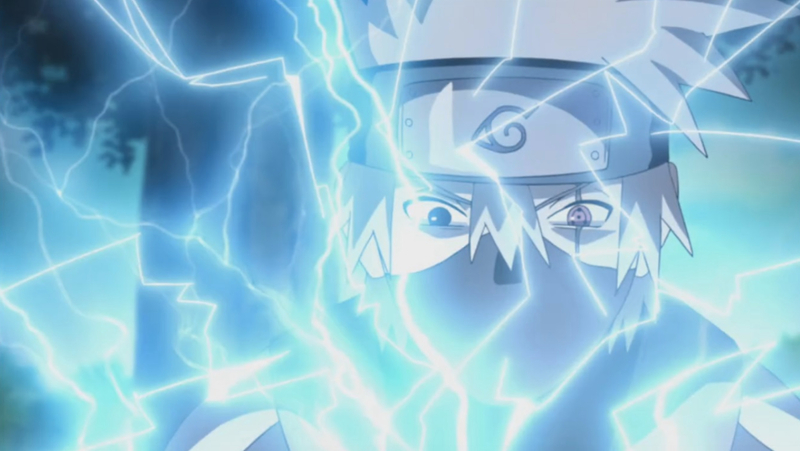 The Chidori allows the user to essentially hold lightning in their hand and use it against their opponent. The speed at which he had to gather and use the lightning was too much for his body to handle when he first created it. It wasn’t until Kakashi had access to Obito’s Sharingan that he was able to see at the same speed he needed to use the Chidori. Kakashi’s Chidori is so fast and so powerful that he is eventually able to do the unthinkable with it. He can actually use the electricity he holds in the palm of his hand to cut a bolt of lightning. Legend has it, Kakashi did it once, and it prompted him to rename his Chidori “Lightning Cutter.” He also got the nickname. 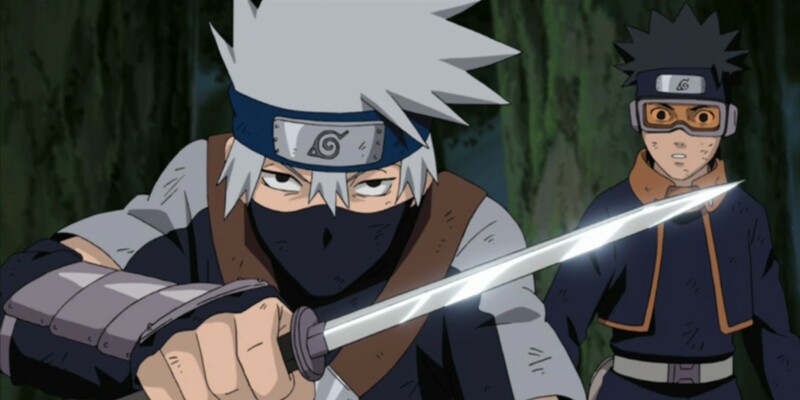 The Lightning Cutter is so fast and powerful that the attack isn’t safe for Kakashi to use. In order to use it, he has to also be using the Sharingan. It’s so powerful, it can even take the skin off his own hand when he wields it. Because the Sharingan is a natural part of the Uchiha bloodline, it can be difficult for someone else to use it, even when it’s gifted to them. 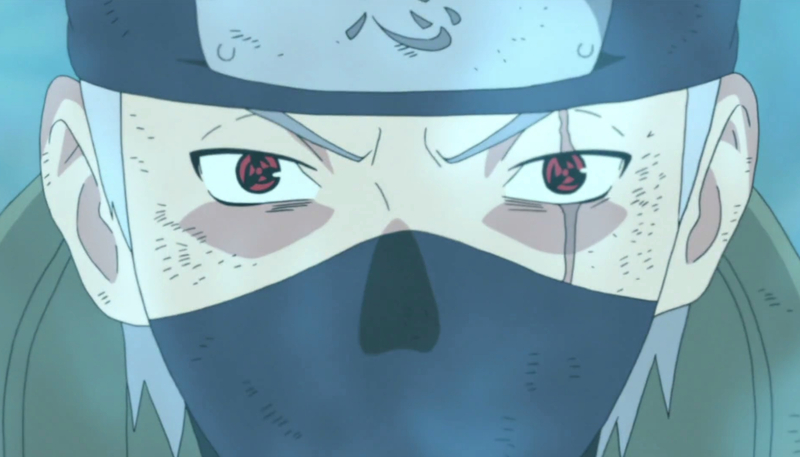 Since he’s not an Uchiha, Kakashi can’t actually turn the Sharingan on and off, which is why he keeps a patch over his eye to begin with. Once he actively uses it instead of keeping it covered, it rapidly drains him. Kakashi can’t use the Sharingan for extended amount of time - or the abilities that come along with it. If he does, he suffers dangerously depleted chakra levels. In fact, he could end up bedridden for an extended amount of time until his body recovers. Even though Lightning Release is where Kakashi’s natural inclination lies, his training with other nature types makes him more than just proficient. In fact, he’s an expert when it comes to Water Release as well. Water Release is most commonly seen amongst shinobi from Kirigakure, the same land where people have teeth like sharks. 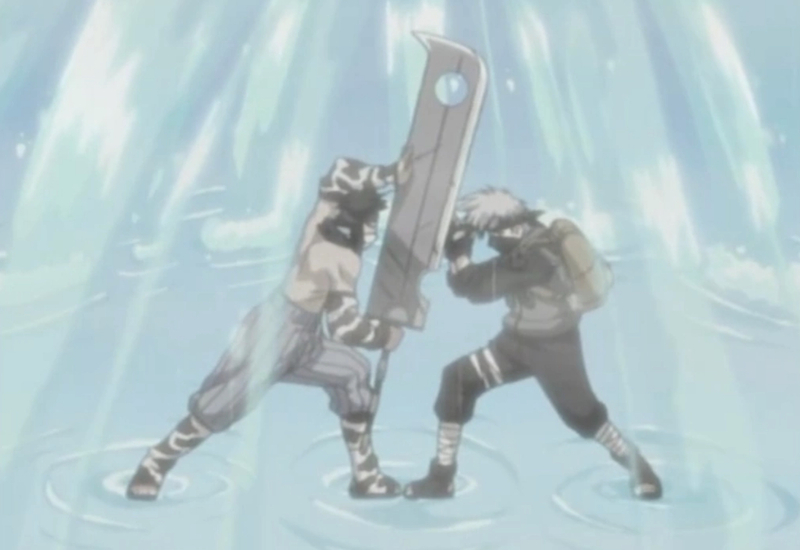 Using this nature type means that the shinobi can manipulate existing water around them to create waves, blasts of water, and even water prisons. It’s much harder for a shinobi to create water from their own chakra. Kakashi is so good with Water Release that he’s able to do that in areas where there is no water to manipulate. Naruto fans have found plenty of allegories for mental illness in the series, but Kakashi actually brings representation for those who suffer from depression to the manga and anime. After losing first Obito and then Rin on different missions, Kakashi was the only member of his team left standing. He suffered from nightmares as a result and began to lose interest in missions altogether. Thinking a new focus would help his former student, the Fourth Hokage assigned Kakashi to the Anbu, an elite secret shinobi force. All that did was make Kakashi colder and more distant. It was working with students himself that got Kakashi to start seeing the light. While the manga for Naruto is great, one thing fans get a better feel for in the anime is just how fast Kakashi really is. It’s hard to see how Kakashi moves on the page. Animation puts things into perspective. 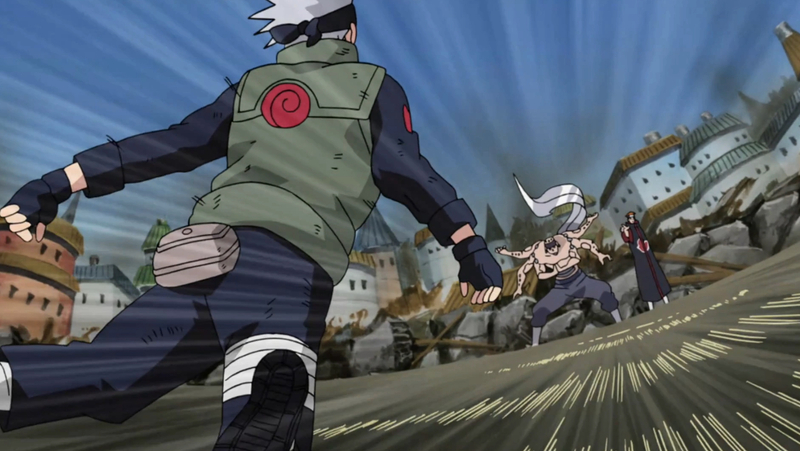 Kakashi’s reflexes are so fast during a fight that he moves faster than most ninjas can even see. This allows him to counter or dodge attacks that other team members haven’t even seen coming yet. These reflexes are also where that Substitution Jutsu comes in handy. He can switch his body out of harm’s way faster than expected. 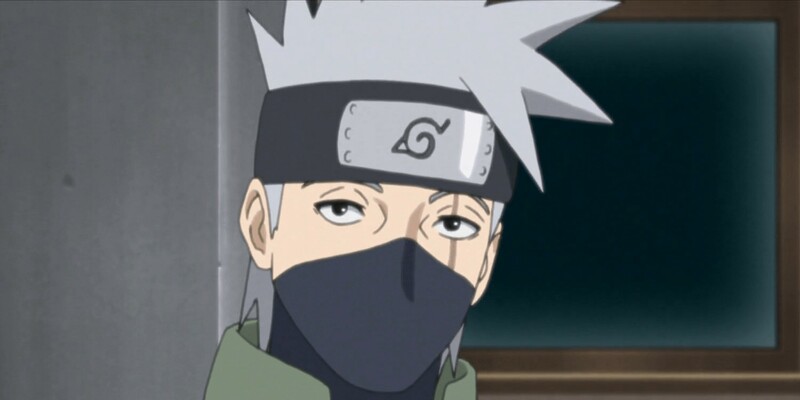 Though only one of his eyes is typically visible, Kakashi is always drawn with his visible eye half-closed. According to Masashi Kishimoto, there’s a reason for that, and it has nothing to do with him being sleepy. As detailed in Uzumaki: The Art of Naruto, Kishimoto wanted to make sure the reader understood Kakashi had a laid back personality. It takes a lot to ruffle Kakashi’s feathers, and in a near perpetual state of relaxation, he might look like he’s on the verge of falling asleep. Just because he’s relaxed doesn’t mean he isn’t always paying attention! Kakashi is still very observant. In Road To Ninja: Naruto The Movie, Sakura and Naruto found themselves in another reality. This reality, known as Genjutsu World, featured a lot of familiar faces who were very different. Naruto found his parents still alive and Sakura found that her father was the Hokage. They also ran into a very different version of their sensei. Instead of the usual laid back Kakashi that taught them the value of teamwork, they found a more highly strung version of him. Excitable and loving competition, this version of Kakashi was more like the Might Guy Sakura and Naruto knew in their world. 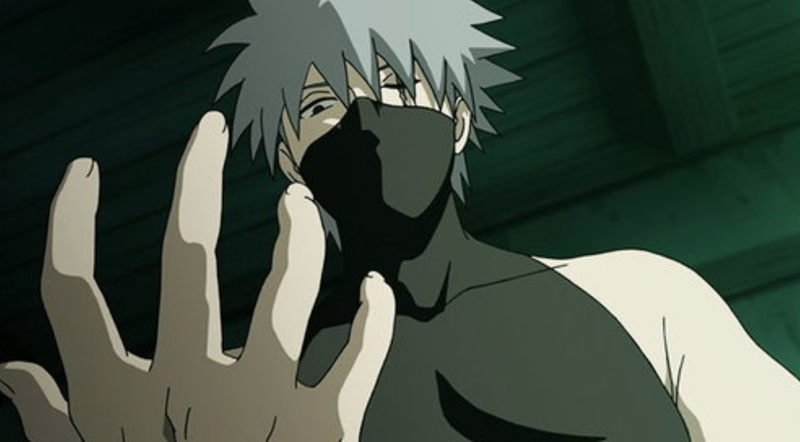 Because Kakashi doesn’t spend a lot of time in the manga or anime without his arms covered up, fans tend to forget that Kakashi actually has a tattoo. 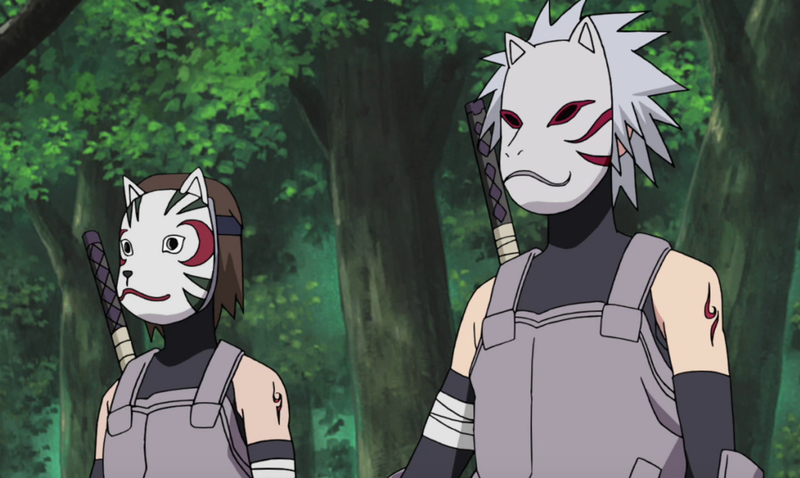 The Anbu maintain their secrecy while on missions by wearing a mask - a seemingly perfect job for Kakashi. They don’t always wear long sleeves to cover up their skin though. That’s how fans know that the Anbu have a signature tattoo. Members of the elite force have a tattoo on one arm. Though he’s no longer an Anbu by the time fans meet Kakashi, he still has the tattoo. The tattoo is meant to resemble a flame with a slight curl at either end. The Mangekyo Sharingan is a special variation of the Sharingan. A shinobi gains access to it once they’ve experienced real trauma - witnessing the loss of a loved one. Like the regular Sharingan, the Mangekyo Sharingan is tough on the shinobi using it. It’s possible the effects of it are even worse on Kakashi since he’s not an Uchiha. When Kakashi uses this particular dojutsu for an extended amount of time, it effects his vision. He ends up with blurred sight, and eventually nearsightedness. The Mangekyo Sharingan also causes his eyes to bleed. Kakashi might not specifically be a “genjutsu type” shinobi like Kurenai or Sakura, but he’s certainly skilled in it. Fans don’t see Kakashi use genjutsu very often, but he proves himself adept at it when he uses it against Sakura during their first face-off as teacher and student. More than that though is his ability to endure it. Plenty of shinobi are easily tricked and sucked into the hallucinations of a genjutsu, especially Naruto. 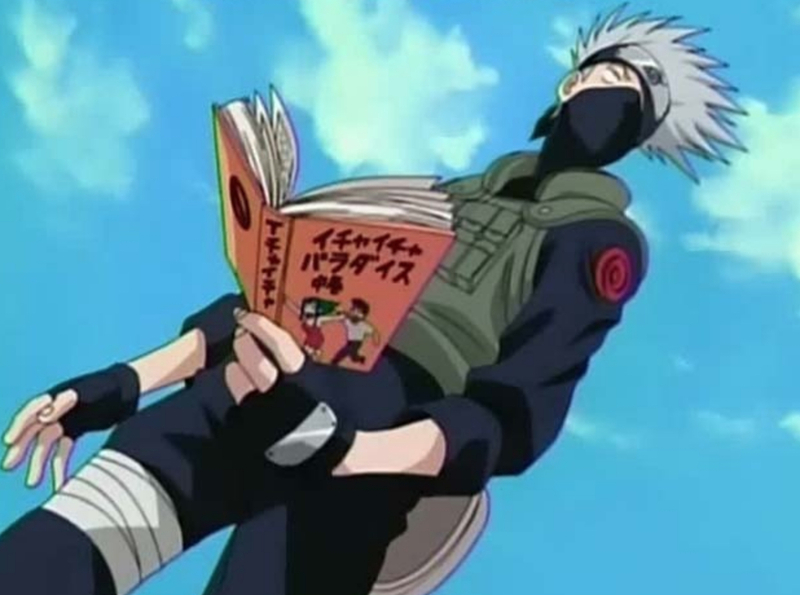 Kakashi, even if he can’t release himself from a genjutsu, still retains his knowledge of it. He suffers through many at the hands of Itachi Uchiha and other members of the clan, but doesn’t allow them to break his mind. Every shinobi can’t have massive chakra stores. Naruto, who is able to borrow chakra from the fox sealed inside him, is a special case. Other shinobi, like Sakura, can burn through chakra quickly even with precise chakra control. Kakashi lies somewhere in the middle. Despite having access to possibly thousands of jutsu, Kakashi can’t use the more powerful skills in quick succession. If he does, he burns through chakra. He can use a powerful skill three or four times when the series begins before passing out. Over the course of the series, he is able to build up his chakra reserves, but he’s still not the kind of shinobi who can wait out an enemy. If we take into account Kakashi’s sharp intellect and fast reflexes, this is something that makes perfect sense. 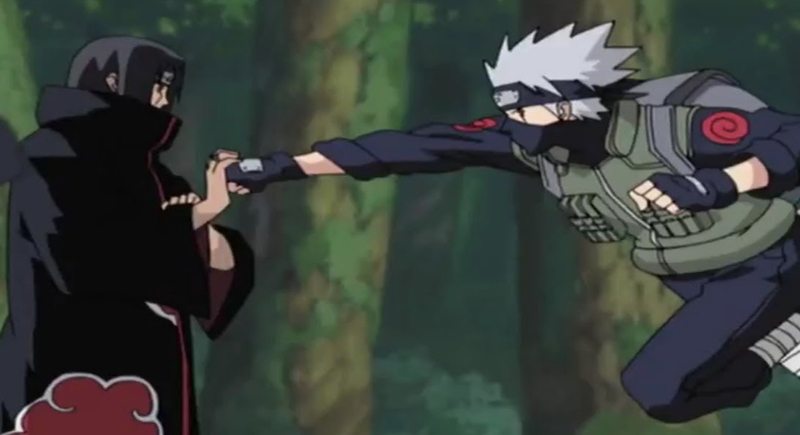 Kakashi doesn’t just know his hand seals; he’s insanely good at them. Hand seals are used by shinobi to perform certain jutsu. There are twelve basic hand seals inspired by the Chinese signs, but there are dozens more that are used to create special, and sometimes even secret, jutsu. Kakashi is so good at his hand seals that he can perform them faster than other shinobi can even see. That’s something considering more complicated jutsu require a 40 hand seal sequence. Enemies consider binding his arms the best offense. Fans had a lot of theories about what was hiding under Kakashi’s face mask. Some thought it was razor sharp teeth like the inhabitants of Kirigakure. Others thought he had more extensive scarring. Unfortunately for the many fans who enjoyed the speculation, once Kakashi’s face was revealed, there wasn’t anything out of the ordinary. 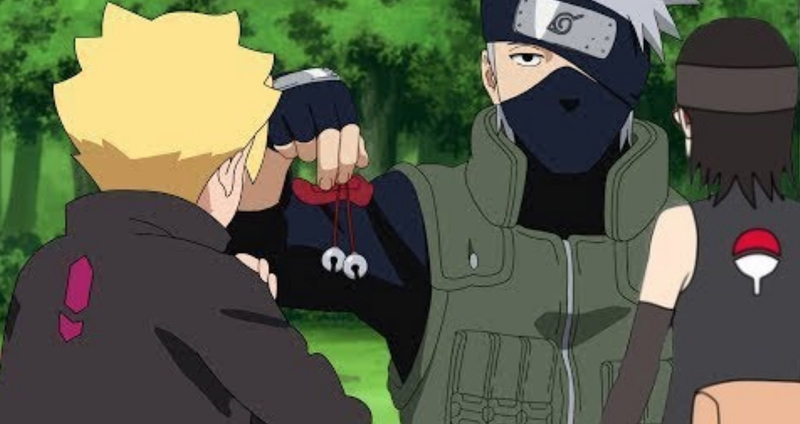 What was actually under Kakashi’s mask, according to an episode of the anime, was another mask! 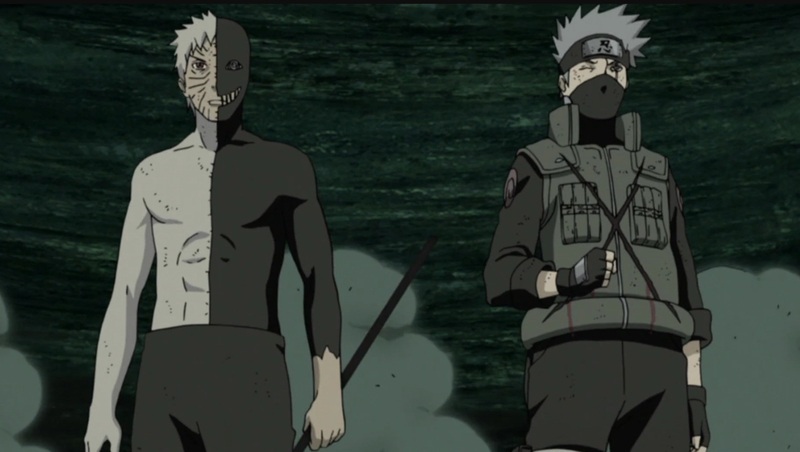 Kakashi might enjoy wearing the double mask, but what was really underneath them was a handsome face and a beauty mark. 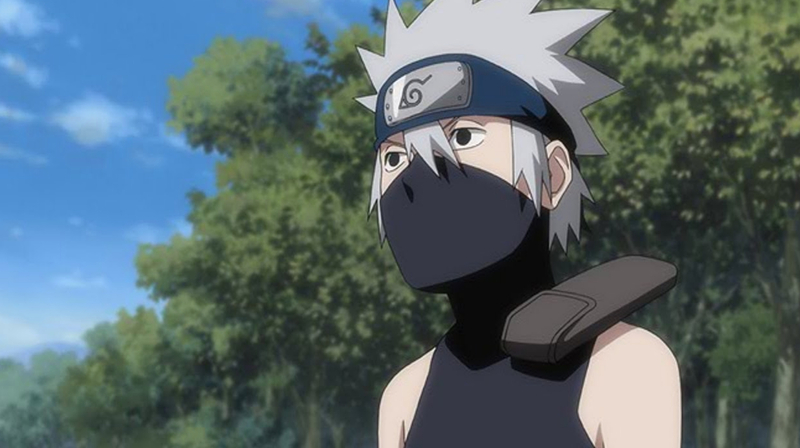 Since Kakashi’s mask didn’t appear to be hiding anything on the character’s face, why would he bother wearing one at all? The Naruto anime spin off series Rock Lee and His Ninja Pals gave fans an answer, even if it was a bit tongue-in-cheek. According to the series, Kakashi kept a mask over his face because he didn’t want anyone to catch him with a nosebleed. Anime fans will know that a nosebleed isn’t indicative of an injury or illness. Instead, it’s meant to denote adult thoughts in a character. Considering Kakashi is such a huge fan of Jiraiya’s romance novels, the mask is probably a good choice. Following Jiraiya’s loss to Pain and Naruto’s emotional reaction, Kakashi decides to go after the Akatsuki leader and his followers. Unfortunately for Kakashi, things don’t go so well for him. Over the course of the fight, Kakashi nearly loses his life multiple times, but he gets reinforcements in the form of Choji and Choza Akimichi. It’s using up all his chakra to save Choji’s life that actually causes Kakashi to lose his own during the fight. Thanks to Naruto forgiving Nagato, the shinobi behind Pain, the loss of Kakashi isn’t permanent. Pain actually revives all of his Konoha victims. During the Fourth Shinobi World War, Kakashi loses one of the things he’s become known for amongst other ninjas - his Sharingan. While Madara Uchiha really wants to take Obito’s eye from him, he winds up settling for Kakashi’s instead. With the Sharingan, Madara was able to do more damage, and Kakashi was left without a weapon in his arsenal that he’d come to rely on for decades. Sakura would have healed his eye for him, but instead, Naruto did the job. With access to the Six Paths Sage Mode, Naruto wasn’t just able to heal Kakashi, but restore the original eye. For years Kakashi believed he’d lost his teammate Obito, only to discover that Obito was actually the Akatsuki member Tobi. Tobi eventually realized the error of his ways and aligned himself with the Leaf Village during the Fourth Shinobi World War, but Obito didn’t make it through. When Obito lost his life for real, he did it with both of his Sharingan. From the afterlife, he allowed Kakashi access to them. For a short time, Obito’s soul inhabited Kakashi’s body to make it happen. It didn’t last long, and Kakashi didn’t get to keep the abilities once Obito was truly gone. When Kakashi has access to Obito’s abilities, he doesn’t simply have the Sharingan. He has the Mangekyo Sharingan. Because Obito had both, Kakashi also has it in both eyes for a short time. This extra power gives him access to abilities that his single eye didn’t have. One of those abilities is intangibility. Kakashi can actually make it so that weapons, and even opponents, can pass right through his body. At the time, Kakashi is also able to manifest Susanoo (an avatar made of chakra that can do his fighting for him), and he can even make Susanoo intangible as well. 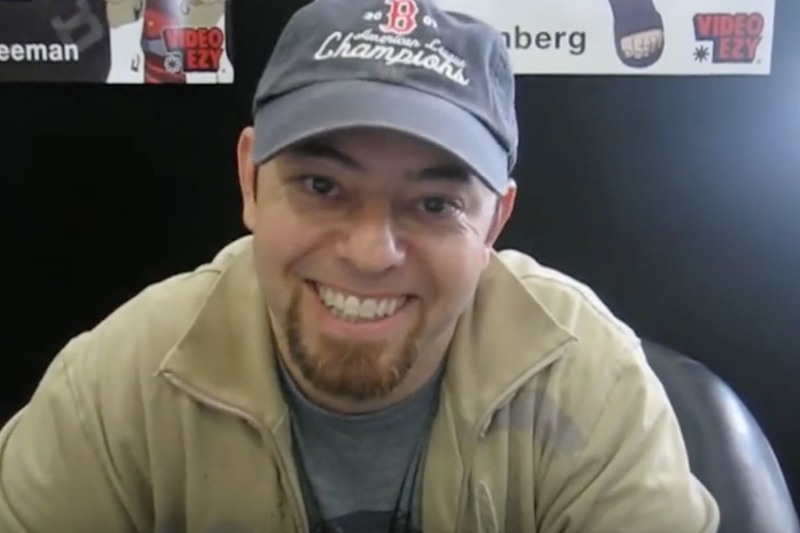 For the English dub of Kakashi’s voice during Naruto and Naruto Shippuden, actor Dave Wittenberg provided the vocals. Wittenberg is an accomplished voice actor who has worked in animation for years. He’s also done plenty of narrating. If you’re a fan of reality TV, you might have heard shades of Kakashi’s voice in unexpected places. While recording dubs for Naruto, Wittenberg was also narrating shows that recreated real happenings. For I Didn’t Know I Was Pregnant, Wittenberg told the story of women suddenly going into labor. In the case of Mystery ER, unexplained medical occurrences took the spotlight. The Naruto manga began its publishing journey in the late 90s. 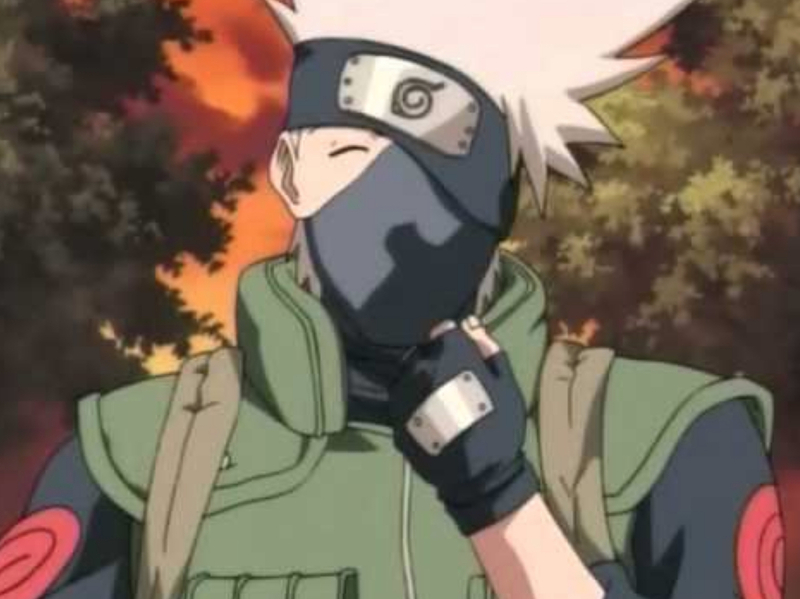 From his very first introduction, Kakashi Hatake kept his face covered. For more than a decade, fans speculated about just what was under that mask. The reveal came as part of an art exhibit in 2015. At the Naruto exhibit in Tokyo, a special manga was given to visitors featuring a story that would eventually become part of the anime. In it, Naruto and Sakura tried to find a way to see what was under Kakashi’s mask. Readers got their own look at his face on the page. 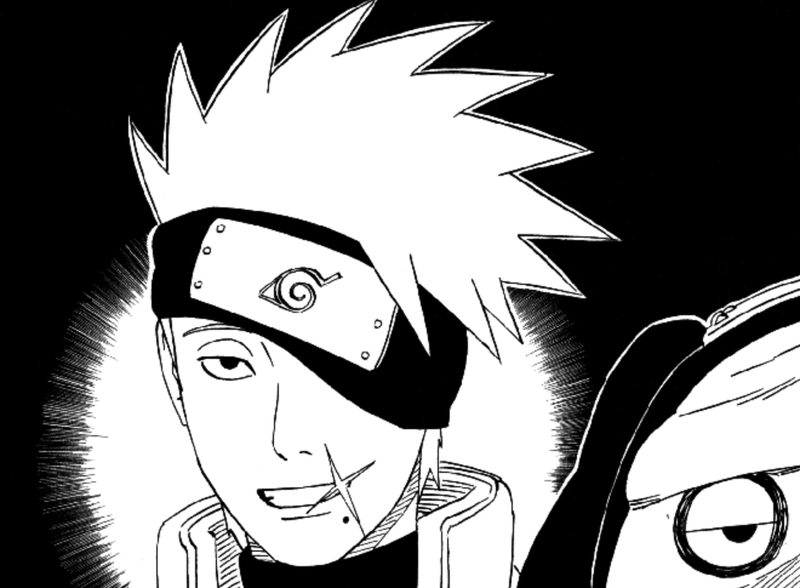 After the reveal, one of the Naruto Data Books also featured Kakashi sans mask. Did you learn something knew about Kakashi? Or did we miss something every Naruto fan should know? Let us know in the comments!